Quick antenna installation on vehicles. Ensuring interference-free reception of radiocommunications services for a broad range of users is essential at large-scale events of any kind – be they sporting, social or political. Private users want to be reachable via their mobile phones, television and program feed equipment requires stable radio links and organizers such as law enforcement officials need reliable communications channels. 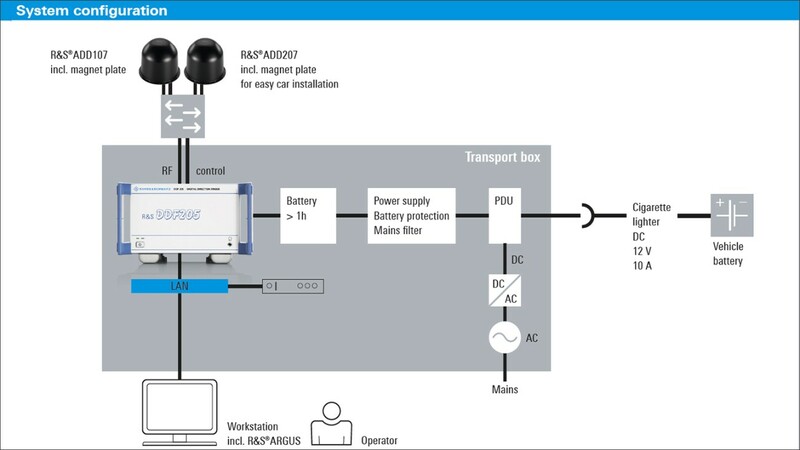 ANATEL has decided in favor of a mobile monitoring and direction finding system from Rohde & Schwarz in order to provide assistance in managing a limited radio spectrum and ensure interferencefree use of radiocommunications services and electromagnetic compatibility between technical devices. Rohde & Schwarz won the tender issued by ANATEL in 2012 and delivered 48 transportable stations in accordance with ANATEL requirements. An extensive training program was implemented in order to allow the customer to benefit from the broad scope of features. The backbone of the technical equipment is the R&S®DDF205 direction finder with R&S®ADD107 and R&S®ADD207 antennas, ready for simultaneous operation. The integrated R&S®ARGUS monitoring software uses individual systems to locate transmitters via triangulation. The system consists of digital radio direction finders, monitoring receivers and direction finding antennas from Rohde & Schwarz. A special advantage is the flexibility of the solution. The system can be run battery-powered and ensures selfsustaining, independent operation. System installation in various vehicle types is quick, easy and convenient. 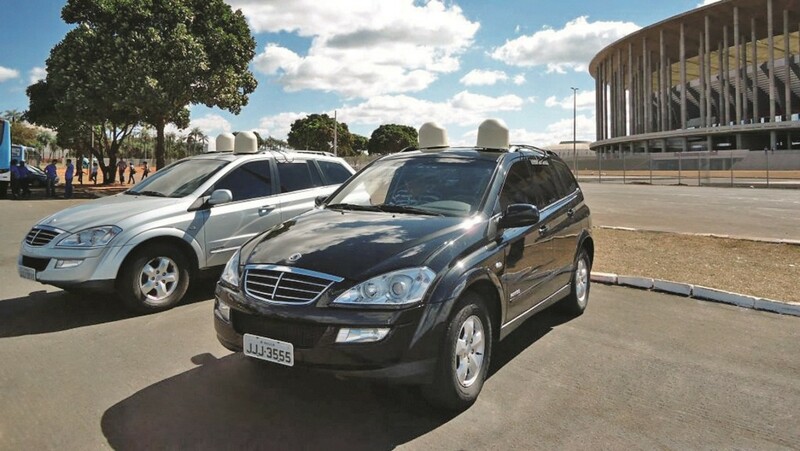 The direction finding antennas are mounted on the vehicle roof using magnetic plates, and system components are easily stowed away in the trunk. When used in a stationary mode, the antennas are installed on tripods. Rohde & Schwarz system solutions meet all of the relevant requirements and recommendations of the International Telecommunication Union (ITU) – the United Nations (UN) specialized agency responsible for regulating the use of the frequency spectrum. Rohde & Schwarz has enjoyed global success in the field of spectrum monitoring for decades.